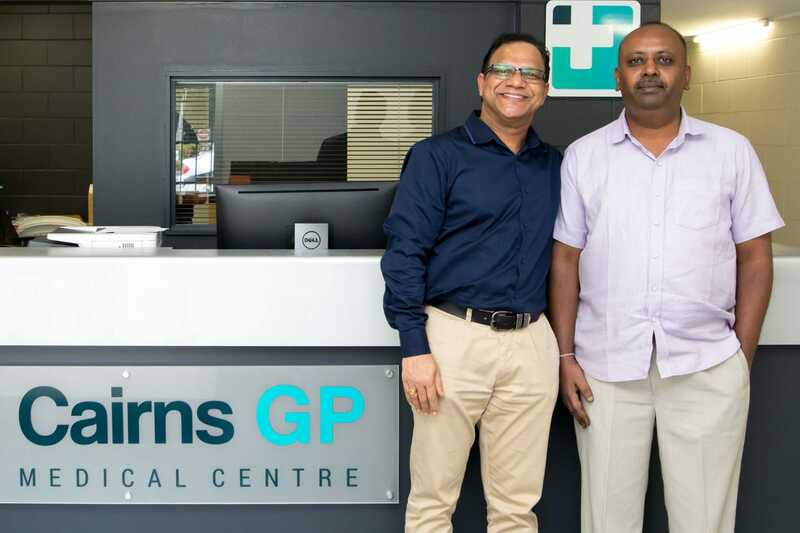 Dr Suresh Kesavan and Dr Raj Kumar Kudikyala would like to welcome you to their dream medical centre, Cairns GP Medical Centre. Welcome to Cairns GP Medical Centre, my name is Dr. Suresh Kesavan. I’ve been working in Australia as a General Practitioner, mostly in Queensland, for the last 11 years. I met Dr. Raj seven years ago. In July 2017, we’ve opened our dream medical centre in Cairns. I’m Dr. Raj Kumar Kudikyala, I’ve been working as a GP in Cairns for the past 12 years. Welcome to Cairns GP Medical Centre, 377 Sheridan Street. We started Cairns GP Medical Centre so that we have the flexibility to spend enough time with our patients, and manage their medical issues in a holistic manner. Our mission is to provide holistic and affordable healthcare for the whole family at all stages of life. We are passionate about delivery and comprehensive range of health services. Our staff are dedicated to giving you the best possible support. We have parking behind the practice for your convenience. We are very excited to bring bulk billing health care to North Cairns, seven days a week. We look forward to meeting you. If you want to find out more about Cairns GP Medical Centre or you wish to make an appointment, click one of the buttons below.